To celebrate our 14th anniversary and our commitment to peace and nonviolence, we are offering a series of Nonviolent Communication classes facilitated by Janice Eng during the 18th annual Season for Nonviolence. The Season for Nonviolence is a 64 day campaign to focus on peace through nonviolence, spanning the memorial anniversaries of Mahatma Gandhi (January 30th) and Dr. Martin Luther King, Jr. (April 4th). We’ve already concluded the first weekend workshop, but there’s still time to sign up for the next two! This is an introduction to Nonviolent Communication, the work of peace activist, Marshall B. Rosenberg, PhD. You will be given tools for speaking and listening from the heart and to connect with compassion and clarity. An introductory classes is recommended before taking an all day Saturday workshop. No one turned away for lack of funds. When we have compassion for ourselves, we have more space in our hearts for others. Often the person who gives us the hardest time in life is oneself. In this workshop we will explore tools to gain the clarity, power, and compassion when we are stuck in regret, self-blame, or judgment, or triggered by someone’s words or actions. Martin Luther King Jr. stated, “You cannot have influence over those for whom you have underlying contempt.” In this workshop you will learn skills to move past anger, fear, or hate, to be able to see the humanity in one another, and to be able to connect with the compassion, vulnerability and power. All classes are held in the University District 4759 15th Avenue NE, Seattle, WA 98105. For registration or more information call (206) 325-5678 or email seattlefreedomproject@gmail.com. Payment arrangements can be made. No one will be turned away for lack of funds. As we often get requests for scholarships, if you would like to make an additional donation to provide for those without funds, your support would greatly be appreciated. 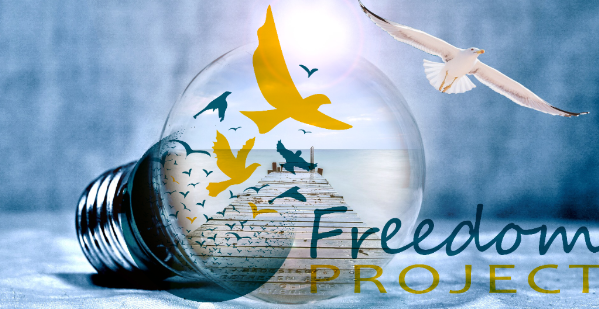 Returnees are always free as a service from the Freedom Project.